Yes, you read that headline correctly. If you are thinking of buying a new or used vehicle and you want to save money, I recommend first taking five steps before you even think of heading to a dealership showroom or website to shop. Take time to act on these five steps and you'll be well on the way to saving big bucks. When many of us feel that first itch for a new vehicle, we think first about dropping by a dealership to browse—look at a few models, lift a few hoods, check out a few prices. Not a great idea—dealerships love to see innocent browsers pull on to the lot. Or maybe, you just like to cruise the local dealership websites. That's a better idea, but still not one designed to save you money or to really help you find the right car for you and your family. Instead, when that itch strikes, stop and take these five steps. Your wallet will thank you. For instance, how much money do you actually have to spend on a new vehicle? How much is your trade-in worth? Is there a rebate on the vehicle? What about additional cash for a down payment? Answers to all these questions help you calculate your real budget for car buying. Are you ready for the pressure tactics used in the auto arena to sell vehicles whether you are shopping in person or online? Do you know how to negotiate for a vehicle in a way that controls the bargaining in your favor? There's a difference between researching and shopping. If you're thinking about buying a new vehicle, then you probably have some particular models in mind. If you've done step one, you have an idea of your car-buying budget. Now it's time to do some "window shopping" online. Remember, however, you're just looking at this point. I would recommend using only major sites that don't require registration or personal information. If you are looking at local dealership sites, again, just look. Several vehicles may have options and features that you like. Ask these questions of each. Does the vehicle fit your budget? What did the vehicle cost the dealer? Websites such as Kelley Blue Book or NADA Guides provide MSRP figures for new vehicles and average retail and wholesale prices for used vehicles. These guides also provide dealer cost for new vehicles and wholesale prices and "loan value" for used vehicles. What's the vehicle's safety test record? Check out the crash tests on new vehicles from both the National Traffic Highway Safety Administration (NHTSA), which performs frontal, side, and side pole crash tests, and the Insurance Institute for Highway Safety, which performs moderate overlap front, small overlap front, side, roof strength, and head restraint tests. NHTSA also provides rollover safety information. For a subscription fee, you can access Consumer Reports for safety and reliability information for used vehicles. The Center for Auto Safety also provides information on a variety of automotive safety issues. What are the insurance and driving costs for the vehicle? Some vehicles have insurance and/or driving costs that are much higher than others. Comprehensive sites such as Edmunds.com provide some of these estimates. 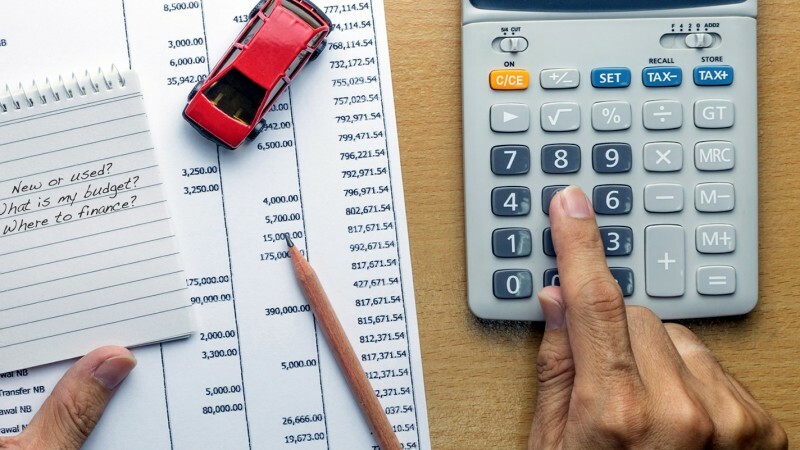 Decide Whether You'll Buy "New" or "Used"
If you've calculated your car-buying budget and researched online several vehicles, you should now have a good idea of which vehicles best fit your budget. Will buying new or used be your best choice? For many individuals, buying a good used vehicle can be a great choice—if you carefully check out the specific vehicle and buy it the right way. Arranging your auto loan at your bank or credit union before you start shopping at dealership showrooms, lots, or online, makes you a cash buyer. When you have your financing in place before shopping, you can focus on all the other aspects of the shopping and negotiation process. By selling your old vehicle yourself, rather than trading it in at a dealership, you may get more money for it. Why? Dealerships buy (trade-in) your old vehicle at a "wholesale" price (often well below average wholesale). If you sell your vehicle yourself, you can often sell it for a higher price. What your car, truck or SUV is worth is always more than any dealer is willing to give you. How hard would you work to make $1000, $1500, or more? Selling a good, reliable vehicle yourself is also not very hard when you know the steps. We show you how in How to sell your vehicle yourself. If you will take time to act on these five steps before you begin shopping and negotiating for a new or used vehicle, you'll be well on the way to saving big bucks before you ever set foot in an auto dealership or click on their website.